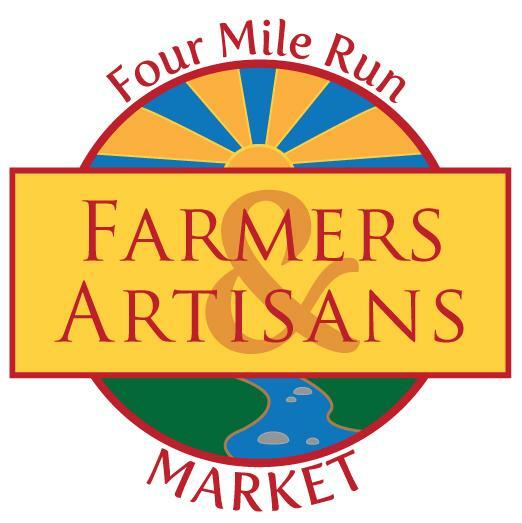 The Four Mile Run Farmers and Artisans Market returns after a two week Easter and Spring Break hiatus. We've had vendor applications rolling in, and we'll be introducing some new and exciting vendors as the market makes its triumphant return this Sunday, May 1st. Plus, work on the renovated community use building is nearly complete, so come take a peek. The Stifler Beef Farm aka "What's For Dinner Now" (Shenandoah) - Natural, locally farm-raised black angus beef (flash frozen for convenience). Patowmack Farm (Lovettsville, VA) - Organic value added products plus baked goods, smoothies, lemonade, and more. Roberto's Produce (Northern Neck) - Locally grown produce and potted plants. St. Elmo's Coffee Pub (Del Ray) - Coffee, tea, and a few extra goodies. VéloCity Bike Co-op (Old Town) - Bike repair (see below). We'll be loaded with plenty of produce this weekend as at least fresh asparagus, greens, and lots of fresh herbs are all in season with more crops coming every weekend. Not to mention potted flowers, herbs, tomatoes, and other plants to take home and begin your own little backyard farm. If your bike needs a tune-up or anything else, bring it out and let VéloCity help. VéloCity's mission is "to encourage a vibrant and inclusive cycling community by providing a non-profit, volunteer operated, do-it-yourself workshop for building and maintaining bicycles along with training, rides, and events to empower interaction, skills, fun, and freedom." They will be on hand with bike stands and tools to empower riders with DIY bike repairs, showing off 4MR Park as the hive of bicycling activity it is. So get out of bed and get over to 4MRMarket. We're open from 8am-1pm, so you can make it before of after church if that's holding you back. The weather is calling for a pleasant 70 degree day, and what better time to have a morning beverage and pastry at the Market Lounge to get you in the shopping mood. Tell a friend, bring your neighbors, and lets get the market season started right!